KMUW's programming is more diverse than a typical commercial radio station and even some public stations. The "sound" of KMUW is distinctive - with news and discussion programs that are longer and more broad-based in subject matter, and music programming that is eclectic and innovative, yet still accessible. 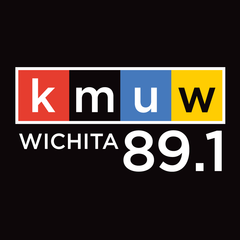 KMUW provides the people of South Central Kansas with informative and creative radio programming, to meet the educational and entertainment needs of a supportive radio audience, while enhancing and extending the services of Wichita State University. 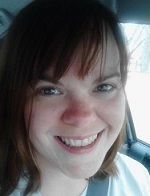 KMUW is the home station for two nationally distributed music shows - the world music show Global Village, and Triple AAA/indie show Strange Currency. Both shows are free and available for both daily and weekend time slots. Please see the individual series pages for more information about both. With a fresh, inventive mix of global sounds and styles and a welcoming presentation, this award-winning show speaks to the joys of musical discovery and smart entertainment with diverse and engaging world music that appeals to a broad audience. The program is FREE and available five days a week or for weekend use. A monthly world music concert series, monthly new releases show, stand-alone holiday programs, and a wide variety of regular specials are also available free to all. Drawing on a range of new releases and old favorites, Strange Currency covers broad swaths of musical terrain. From progressive rock to dark synthwave to singer-songwriters, the goal is to give the listener a sense of the familiar while introducing them to songs they didn't know they loved. The show airs six nights a week and is available throughout the year as a one-hour or two-hour show.